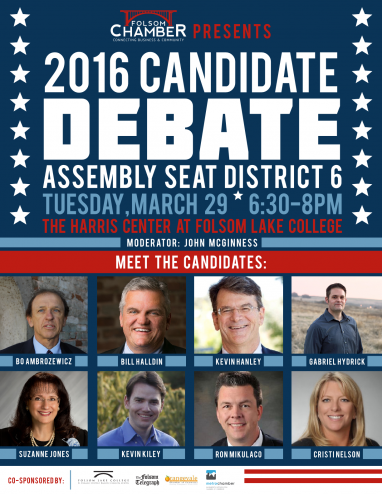 The Folsom Chamber of Commerce and Folsom Lake College will present the local Assembly Candidate Debate, Tuesday March 29. Interested in hearing what the candidates running for California State Assembly Seat have to say? Join the Folsom Chamber of Commerce on Tuesday, March 29th from 6:30pm -8:00 pm at the Harris Center, located at 10 College Parkway in Folsom. The debate will be held in Stage 1 and the doors will open at 6:00pm. Parking passes will be provided upon arrival. “Due to the uncertainty of the statewide drought, Governor Jerry Brown issued Executive Order B-36-15 calling for an extension of urban water use restrictions through October 2016. Emergency drought regulations have been adjusted, and the State Water Board recently reduced Folsom’s target from 32 percent down to 28 percent. The move comes after the State Water Board incorporated recommendations by the City of Folsom, the Regional Water Authority and other regional water agencies to include conservation adjustment factors, like climate and growth that play a role in a community’s water use. 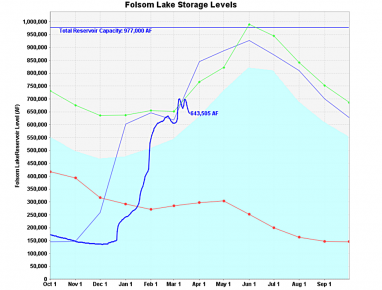 The City of Folsom will continue to advocate for lower water conservation standards due to the high volume of releases at Folsom Lake by the U.S. Bureau of Reclamation for flood control purposes. 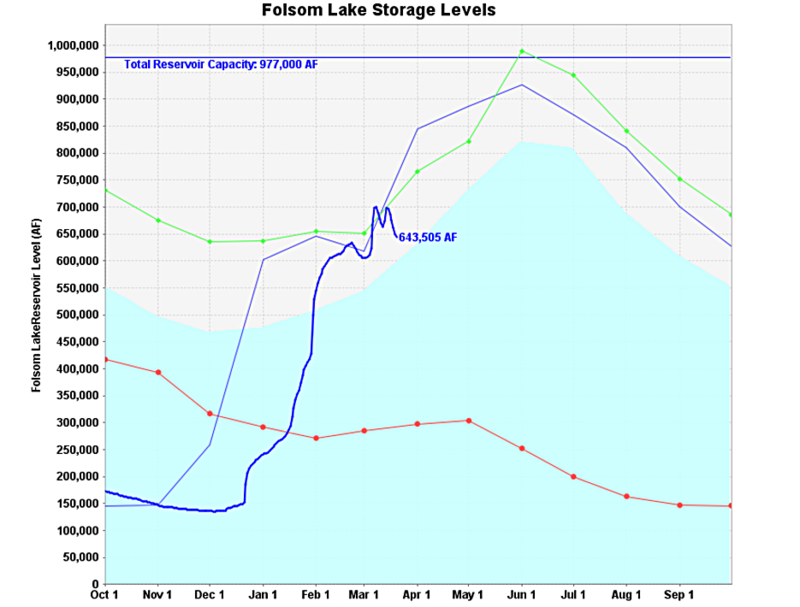 Note that Folsom Lake is currently at 108% of normal for this time of year, and during the month of March, the Bureau of Reclamation, operators of Folsom Dam, have released enough water down the river to supply Folsom for 4 years. This is due to current regulations designed to prevent flooding, in case of rapid snow melt.